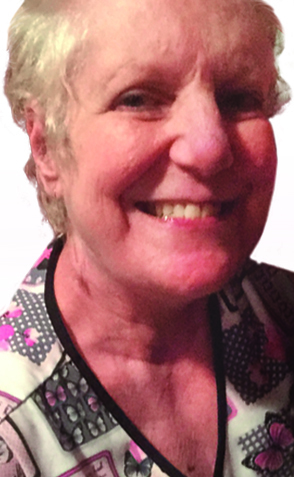 Dana K. Atkins age 68 of Griffith passed away on Sunday April 7, 2019. She is survived by her Husband of 49 years, Larry; Children; Larry W. (Jennifer) Atkins, and Rebecca Atkins; Grandchildren; Amber, Hailee, and Faith; brother Dwight Murdock; Sister-in-law’s Judy Murdock and Donna (Jerry) DeCamp; Nephew Tim Murdock, Nieces; Michelle Clardy and Kari Sinard. Preceded in death by her parents Warren and Helen Murdock and by her brother Dave. Memorial services will be held on Thursday April 11, 2019 at 7:00 PM at WHITE FUNERAL HOME located at 921 W. 45th Ave., Griffith with Pastor Bob Parnell officiating. Friends may meet with the family on Thursday April 11, 2019 from 5:00 PM to 7:00 PM at WHITE FUNERAL HOME. Dana was a loving wife, mother, and grandmother. She had a kind heart and was a friend to anyone she would meet. In lieu of flowers, memorials may be given to The Multiple Sclerosis Society; 525 W. Monroe Street, Suite 1510, Chicago Illinois 60661.